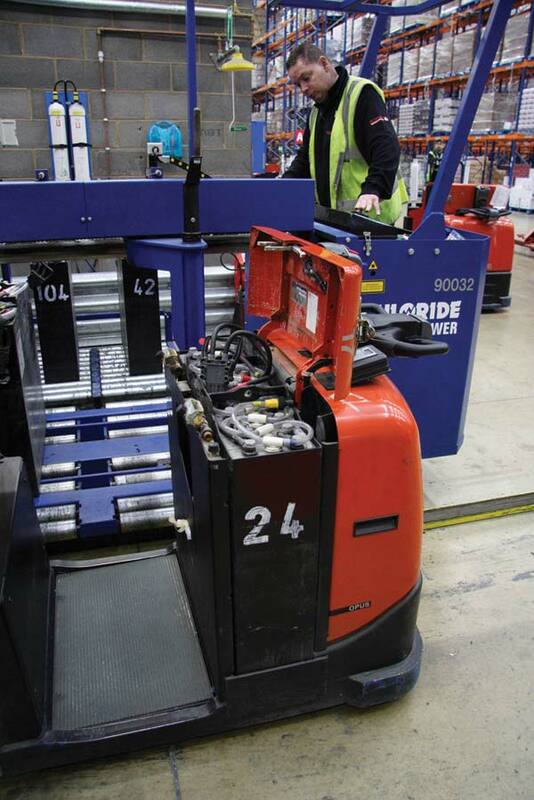 Exide Technologies (CMP Batteries) has played a key role in the power requirements of the materials handling fleet at Sainsbury’s Distribution Centre at Swan Valley, Northampton. 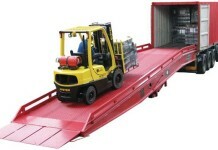 The new DC, which opened in October 2007, is Europe’s greenest distribution centre. Virtually every aspect of the centre incorporates the latest environmentally friendly principles and technology. These include a rainwater harvesting system, a ‘solar collector’ wall and a Combined Heat & Power unit. 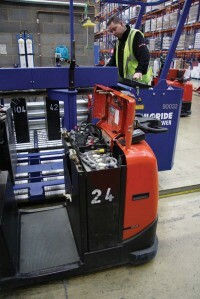 Derek Boghurst is Sainsbury’s Material Handling Manager – Logistics and was instrumental in selecting Exide’s power systems, which include 269 Low Maintenance Liberator Silver Vented Lead Acid Batteries with Air Agitation, 105 High Frequency Chargers, Exide’s 2100.Net Battery Management System, 2 Transfer Car systems and Exide’s water filling systems.. The truck fleet is made up of 19 RRB7Aci reach trucks, 77 LPE240 powered pallet trucks, 64 OSE 250 picking trucks, 1 C4E250 NV electric counter balance truck and 7 gas powered counter balance trucks.